Plymouth Ocean Forecasting Centre is built on two decades of world-leading research in oceanography and meteorology at Plymouth. On this page you will find links to the extensive archive of international research which is the basis for the expertise we offer today. SESAME assessed changes in the Mediterranean and Black Sea ecosystems and their ability to provide goods and services. The study was based on major regime shifts in ecosystems that occurred in the last 50 years. Mathematical models were used to predict ecosystem responses to changes in climate and anthropogenic forcings over the next five decades. This project addressed scientific uncertainties in the processes of mixing in the Black Sea, improving understanding of how losses and gains of nutrients and pollutants influence the environmental stability of the Black Sea. Further information about Black Sea Ecosystem Recovery. The main goal of this project was to provide a deeper understanding of the physical mechanisms controlling hydrodynamic regimes associated with submarine canyons and to evaluate their impact on mass transfer between the continental shelf and open ocean. This EU project was led by the Institut de Ciences de Mar in Barcelona, for further information please visit their project web page. This project developed the understanding and modelling of dense water overflows, such as "cascading" as a meso-scale process. The project was led by the UK Natural Environment Research Council, with partners from the UK, Russia, Belarus and Germany. Further information about the dense water overflows off continental shelves project. This project investigated the mesoscale water mass structure of the White Sea, which lies off the northwest coast of Russia. The project compared and contrasted the hydrology of the White Sea with the Irish Sea, which another example of a semi-enclosed sea. Further information about the comparative analysis. 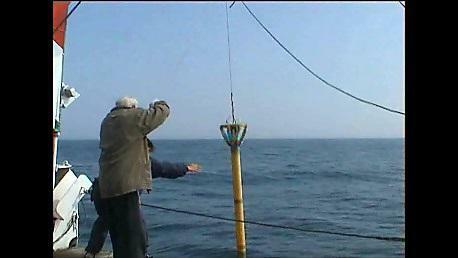 Professor Georgy Shapiro was Chief Scientist for two fieldwork cruises in May 2004 in the Black Sea off Bulgaria and Urkraine. 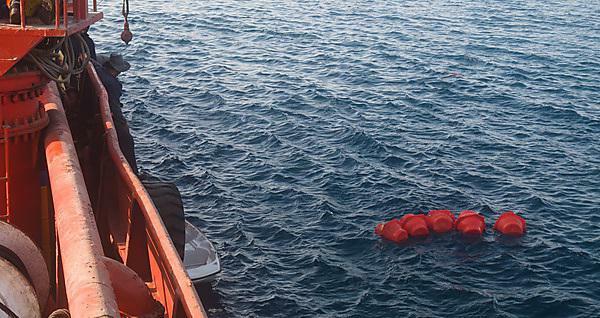 The cruise was commissioned by the Black Sea Ecosystem Recover (BSERP) Project Implementation Unit in Istanbul and was funded by the Global Environment Facility of the UN. The BSERP Cruise Report. POFC took part in this EU-funded project led by the Nansen Environmental and Remote Sensing Center in Norway. The research developed key ocean-atmosphere and ice datasets and models to study the past, present and future climate changes in the Nordic Seas. Further information about The Nordic Seas in the global climate system. This video shows an alternative approach to science communication. It is an artistic interpretation of the role of Arctic surface waters on circulation in the global oceans and in climate change inspired by the work of this EU-funded project. The performance was created as part of a course at the Schumacher College. It was directed and performed by Professor Georgy Shapiro with a group of his colleagues on the Schumacher course.